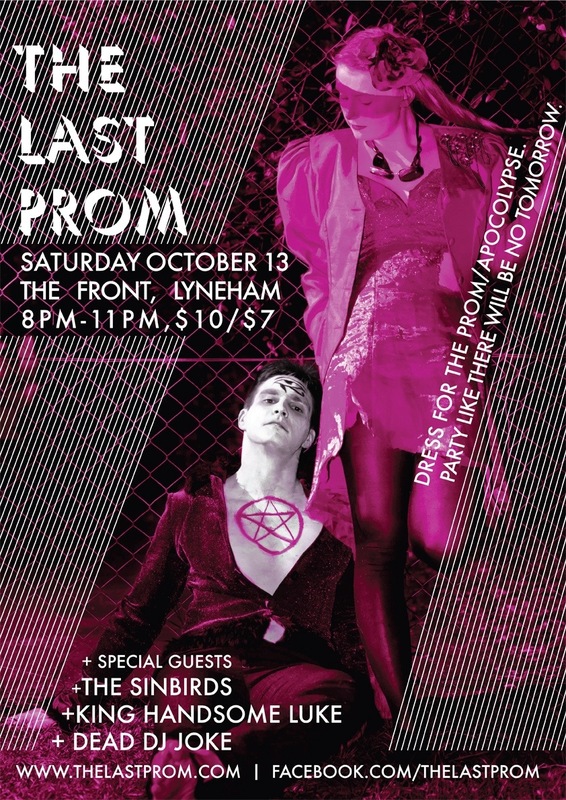 The 13th of this month is the penultimate show in The Last Prom’s 2012 Apocalypse Sequence. It’ll be the last ‘gig’-style show and the last with our existing set of songs. The final show in November will feature 10 all-new numbers that detail the tragic love affair between Death and The Antichrist. The theme of this show is War, so we’ll be decking out The Front Gallery to look like a fallout shelter. Luke is supporting under his King Handsome Luke guise, as well as The Sinbirds and the ever-amazing Dead DJ Joke. Our last gig- The Nuclear Winter Ball- ended up being one of the funner dance parties I’ve ever been at, so I’m looking pretty forward to it.